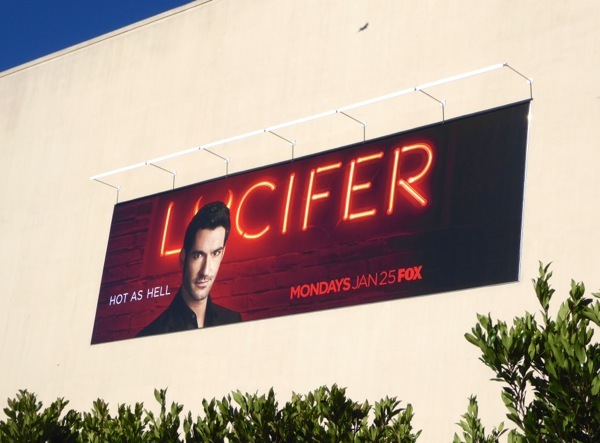 Happy 2016 and to help wish you a truly wicked New Year, Daily Billboard has these outdoor ads for Fox's new comic book television adaptation, Lucifer. 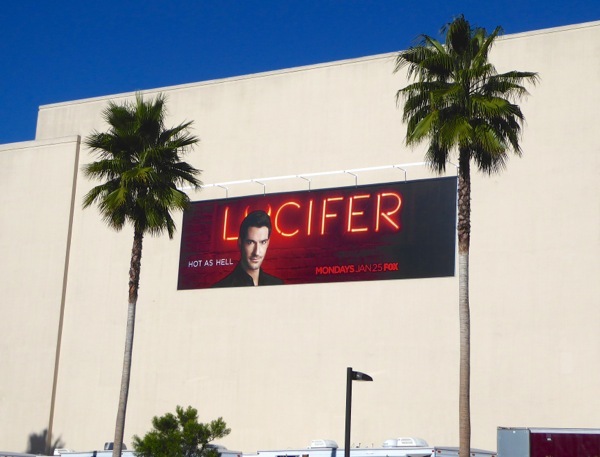 Tom Ellis stars as 'Lucifer Morningstar' as the personification of the devil who's grown bored of being Lord of Hell and has taken up residence in the City of Angels, Los Angeles, helping the LAPD punish criminals. The new series is loosely adapted from the Satanic character created by Neil Gaiman in DC Comics Vertigo imprint title, The Sandman, and written by Mike Carey in his own spin-off titular series, Lucifer. 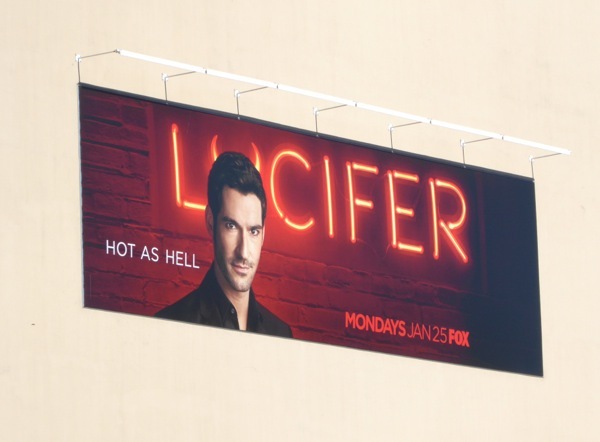 These 'Hot as Hell' Lucifer series launch billboards were first spotted along Pico Boulevard at Fox Studios on December 12, plus later spied along Melrose Avenue on December 16, 2015. 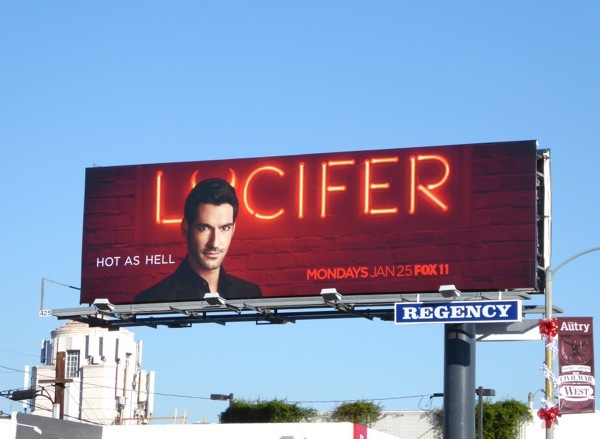 If you're a fan of the devilishly handsome Welsh actor Tom Ellis, be sure to also check out these Rush TV billboards from last year. 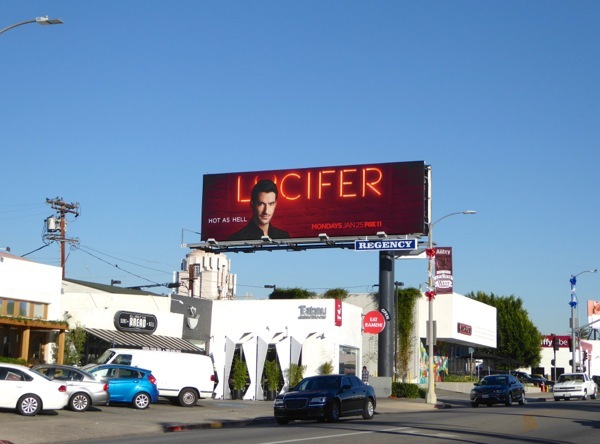 Meteorologists predict that 2016 will be the hottest year ever recorded and it looks like Lucifer may help contribute to the heat in the next few months.